Our understanding of fundamental Earth processes requires multifaceted investigations that span a large range of temporal and spatial scales. This workshop will focus on cutting edge geophysical results of processes in the solid earth, cryosphere, oceans and atmosphere and will highlight synergies between the SAGE and GAGE communities. Have questions? Please contact Danielle Sumy (danielle.sumy@iris.edu) and Donna Charlevoix (donnac@unavco.org) for more information. Code of Conduct: Please take a moment to review our Code of Conduct. 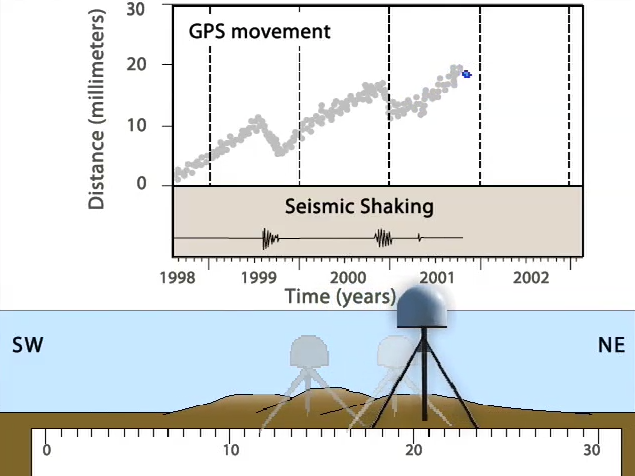 Recent advances in geodesy, imaging and earthquake seismology, geodynamic modeling, paleoseismology and other fields have opened new opportunities to link observations of incremental deformation events occurring on timescales of seconds to thousands of years with the integrated deformation record locked into geology and the landscape. These advances hold the potential to more completely describe how plate boundary deformation processes evolve over single to multiple earthquake cycles, and to test how well the past can inform the future. This session highlights current advancements (across a range of disciplines) in linking timescales in active deformation and will discuss future directions for bridging the diverse timescales of earth deformation processes. Advances in instrumentation and creative new studies have recently led to an increase in observations in previously under-sampled or inaccessible areas, such as polar regions, ocean basins and other extreme environments, yielding fundamental new insights into Earth structure and processes. 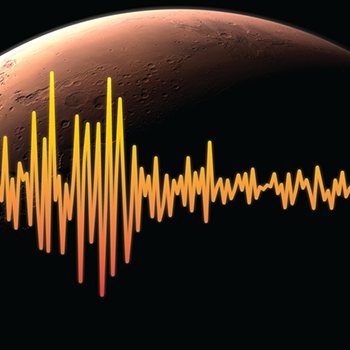 With the recent deployment of a seismometer and other sensors on Mars, another frontier area in planetary geophysics is opening. This session will showcase new results from seismological, geodetic, and other geophysical studies in extreme environments that are important to addressing fundamental questions in Earth and planetary science. Understanding the diversity of interrelated processes that occur at subduction zones requires highly interdisciplinary approaches, including a range of seismological, geodetic, electromagnetic, and geological techniques. The development of new instrumentation, new observations from several recent large, geophysical experiments, and improvements in onshore and offshore geodetic and seismic monitoring networks have begun to transform our knowledge of subduction plate boundary and volcanic arc processes over the last decade. This session will address major advances in our understanding of subduction zones that have come from seismological and geodetic investigations. We will also focus on new frontiers for combining seismology and geodesy to improve understanding of subduction processes at a range of timescales, over multiple seismic and eruptive cycles. 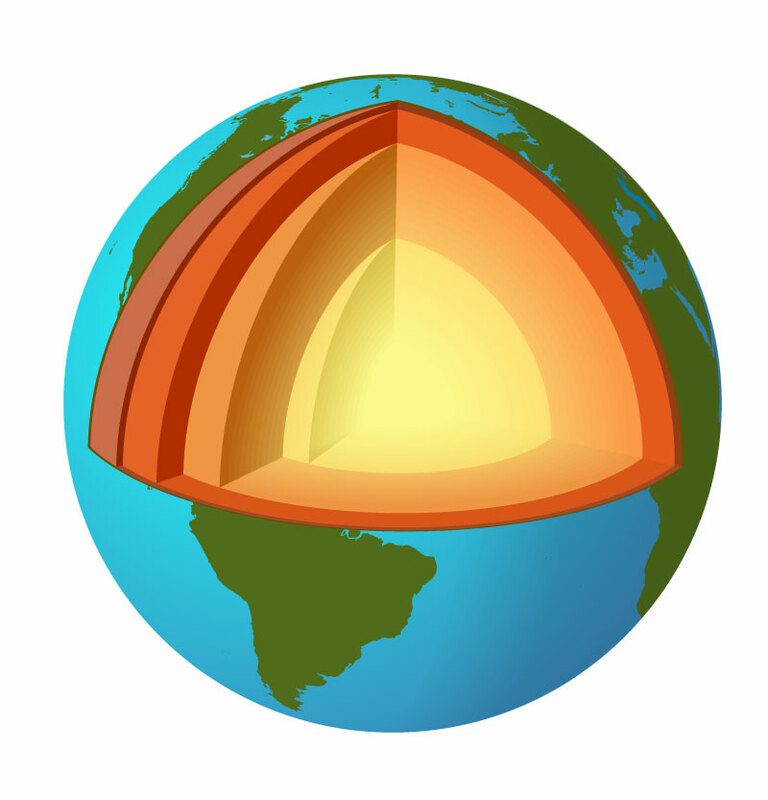 Seismological and geodetic observations provide crucial constraints on the rheology and dynamics of the crust and mantle. A comprehensive picture of Earth rheology requires diverse observations made at different time scales and length scales, including: models of seismic velocity, attenuation, and its anisotropy; electrical resistivity and its anisotropy; post-seismic relaxation; glacial isostatic adjustment; solid earth tides; seasonal deformation cycles; and groundwater withdrawal. Field and experimental data also contribute important information. This session will highlight recent advances in determining the rheological properties of the Earth’s interior and applications of seismological and geodetic studies to phenomena ranging from mantle dynamics to ice-sheet stability and sea-level rise to grain-scale deformation. The SAGE-GAGE communities commonly conduct research and educate at the forefront of Earth science disciplines. These activities often encapsulate embracing, leading, and innovating new analysis and modeling approaches, exploring novel uses for well-established observations and instruments, and training the next generation of Earth scientists in these tools. 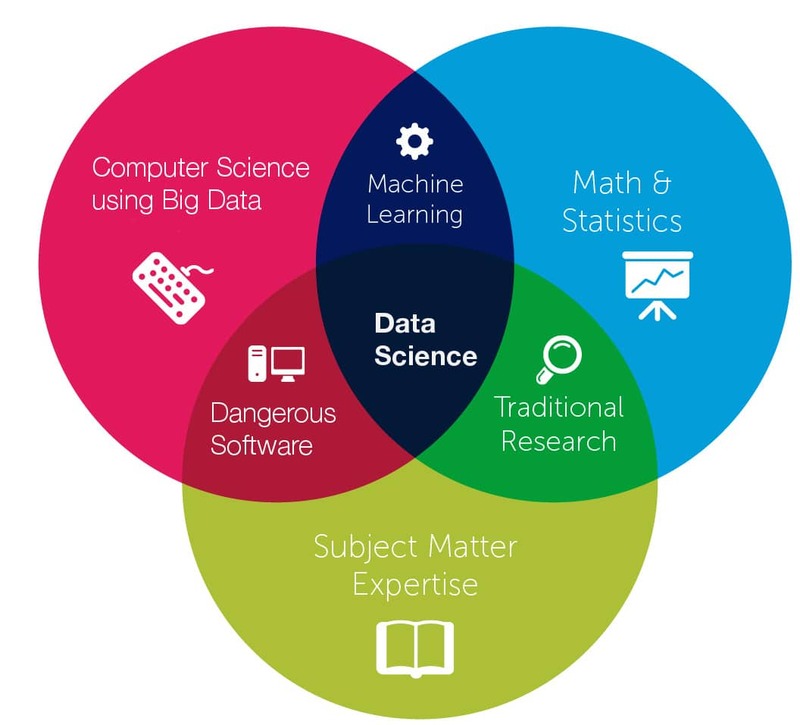 This session highlights new approaches to acquire, analyze, model, and teach on and about these rich geophysical datasets and techniques that are hallmarks of the SAGE-GAGE community. Undergraduate and Graduate Students & Postdocs are eligible to apply for scholarships. Please see the Scholarship tab to apply. If selected, you will receive three (3) nights double-occupancy lodging (for the nights of October 8-October 10), and up to $500 for travel. You are required to pay the $150 registration fee. You will need to submit all travel receipts for reimbursement, excluding the hotel which will be booked for you. If you apply for the scholarship, please wait until decisions are made, as IRIS will then book your hotel room. The SAGE/GAGE Workshop will be held in Portland, Oregon. The nearest airport is Portland International Airport (PDX). The airport is located 13 miles (25 minutes) from the hotel. Workshop attendees may also use the discount code by calling Alaska Airlines Group Desk (800-445-4435), however, a $15.00/per person ticketing fee will apply. The Group Desk hours of operation are Monday-Friday 6am-6pm PST, Saturday 7:30am-6pm PST, closed Sunday. Note: If you are a student scholarship recipient please do not book your hotel room. A double occupancy hotel room will be booked on your behalf by IRIS. The reduced group room rate is $229/night USD. In addition, a 13.3% hotel occupancy tax and a 2% Tourism Improvement District (TID) will be billed to each room night charge; there is a State of Oregon sales tax rate of 0%. The cut-off date to make room reservations is Monday, September 9, 2019. Please visit this website to make your reservations. If you prefer to call-in and make your reservation, you can call 800-HILTONS (1-800-445-8667) and mention the Group Code: IRI. Reservations made after the cut-off date will not be offered the group rate. Additionally, the group rate is first come first serve; reservations made after the block is filled may need to pay the regular hotel rate. Reservations for SuperShuttle service can be made online. They charge $14/one way. Uber ranges between $26-$30/one way. Taxis are also readily available at the airport to the Hilton for around $35/one way (not including gratuity). If you're driving to the hotel from PDX: Airport Way: Right on HWY 205 South; Right on I-84 West; Approximately 4 miles, Follow signs to City Center/Morrison Street. Go over Morrison Bridge; Go straight 5 blocks; Left on SW Broadway; Left on Salmon; Left on SW 6th Avenue. Front doors will be on the left. Overnight Hotel Guests: The hotel does not offer Self Parking. Secured and covered Valet Parking is at a rate of $52/night, with in/out privileges. The hotel is unable to accept oversized vehicles. Session Description: Recent advances in geodesy, imaging and earthquake seismology, geodynamic modeling, paleoseismology and other fields have opened new opportunities to link observations of incremental deformation events occurring on timescales of seconds to thousands of years with the integrated deformation record locked into geology and the landscape. These advances hold the potential to more completely describe how plate boundary deformation processes evolve over single to multiple earthquake cycles, and to test how well the past can inform the future. This session highlights current advancements (across a range of disciplines) in linking timescales in active deformation and will discuss future directions for bridging the diverse timescales of earth deformation processes. Session Description: Advances in instrumentation and creative new studies have recently led to an increase in observations in previously under-sampled or inaccessible areas, such as polar regions, ocean basins and other extreme environments, yielding fundamental new insights into Earth structure and processes. With the recent deployment of a seismometer and other sensors on Mars, another frontier area in planetary geophysics is opening. This session will showcase new results from seismological, geodetic, and other geophysical studies in extreme environments that are important to addressing fundamental questions in Earth and planetary science. Session Description: Understanding the diversity of interrelated processes that occur at subduction zones requires highly interdisciplinary approaches, including a range of seismological, geodetic, electromagnetic, and geological techniques. The development of new instrumentation, new observations from several recent large, geophysical experiments, and improvements in onshore and offshore geodetic and seismic monitoring networks have begun to transform our knowledge of subduction plate boundary and volcanic arc processes over the last decade. This session will address major advances in our understanding of subduction zones that have come from seismological and geodetic investigations. We will also focus on new frontiers for combining seismology and geodesy to improve understanding of subduction processes at a range of timescales, over multiple seismic and eruptive cycles. Session Desciption: Seismological and geodetic observations provide crucial constraints on the rheology and dynamics of the crust and mantle. 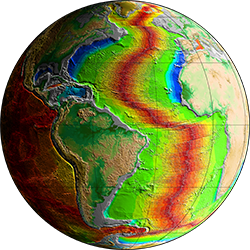 A comprehensive picture of Earth rheology requires diverse observations made at different time scales and length scales, including: models of seismic velocity, attenuation, and its anisotropy; electrical resistivity and its anisotropy; post-seismic relaxation; glacial isostatic adjustment; solid earth tides; seasonal deformation cycles; and groundwater withdrawal. Field and experimental data also contribute important information. This session will highlight recent advances in determining the rheological properties of the Earth’s interior and applications of seismological and geodetic studies to phenomena ranging from mantle dynamics to ice-sheet stability and sea-level rise to grain-scale deformation. Session Description: The SAGE-GAGE communities commonly conduct research and educate at the forefront of Earth science disciplines. These activities often encapsulate embracing, leading, and innovating new analysis and modeling approaches, exploring novel uses for well-established observations and instruments, and training the next generation of Earth scientists in these tools. This session highlights new approaches to acquire, analyze, model, and teach on and about these rich geophysical datasets and techniques that are hallmarks of the SAGE-GAGE community. If so, a 4'x8' poster board will be reserved for you at the meeting. List guests names for name badges. Guest per line. Will you attend the Reception for Tim Ahern? Would you attend a group dinner? It is our pleasure to meet your dietary needs, and we are usually able to accommodate most dietary restrictions. Please note that dietary "preferences" are not the same as genuine restrictions, such as a medical food allergy or religious reasons. All meals served (with the exception of the dinner on Thursday night) at the workshop will be in buffet-style, and we will make every effort to identify ingredients that may trigger adverse reactions for individuals with food allergies or intolerance. To ensure your health and safety, special meal requests will be tracked through your registration and relayed to the catering staff. I agree to grant IRIS/UNAVCO permission to record film/video and/or take pictures of my participation in the SAGE/GAGE Workshop. I further agree that any or all of the material photographed may be used as part of any future IRIS/UNAVCO publications, brochures, other printed materials, or on IRIS's or UNAVCO's website(s). I also agree to grant IRIS/UNAVCO permission to publish my contact information (name and institution) on the workshop website, as an active participant in the workshop, so that other participants may contact me. If you present during a plenary session and/or a breakout session at the SAGE/GAGE Workshop, you grant IRIS/UNAVCO permission to publish your presentation materials (as they are made available) on the workshop website. Error: Invalid Registration Code. Please try again. All abstracts should consist of a single page generated by the lead author and include at least one high-resolution figure representative of the research presented. Opportunities and efforts for Education and Public Outreach, or Facilities, Operations, and Management, should be highlighted. Details regarding our travel support policy can be found on the Travel tab. Participant support is provided by the NSF SAGE/GAGE facilities. SAGE/GAGE can only support participants traveling from domestic (US-based) colleges and universities. Why are you interested in attending this meeting? Any comments that the selection committee should know?